On Sunday the Green Bay Packers will be hoping to continue their two month run of success when they take on the Chicago bears. The Green Bay Packers have turned their fortunes around are now in position to claim their second NFC North title in a row, this somewhat surprising considering that the Bears were in control of the division for most of the season. Everything looks to be in the Packers favour, there are odds available of 5/7 on a victory, the best available on the Bears are 11/8. 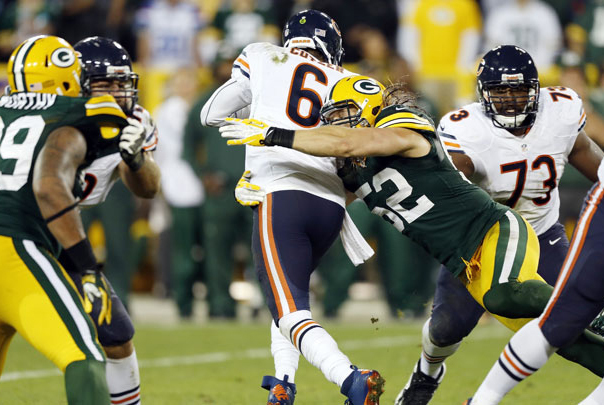 Until last week Chicago has possession of the North lead, however, the Packers have won seven of their eight last games, while the Bears have lost four out of five. The Bears are hoping that facing their biggest rival will provide enough motivation to avoid another loss. Coach Lovie Smith said “If you need a game coming up to really motivate you to play your best football, it should be your rival with Green Bay coming in”.